to question why I’d write it. 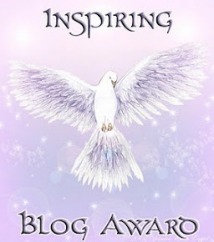 A very big thank you to http://m00nsh1n3.wordpress.com/ for both the nomination and her rich, dark, creative words on her blog pages. 1. I used to ride motorcycles for a living. 2. I have two jet black cats. 4. I am a pirate. 5. I was once nearly eaten by crocodiles. 6. My middle name is Giles. 7. Reality TV makes me angry. Pass this on to seven other bloggers that you find inspiring. Thank you again for the nomination and best of luck to my fellow nominees! Write on! The door is ajar. Perhaps more. I slide the door closed. Like ants. They are like ants. The sobbing is a distraction. Doubt has crept in now. More of a shriek than a shout. My feet look strange on the rail. They are definitely not ants.